Holbrook went with a custom design for their new launch. It is all the feels and really captures the district's mission statement "to nurture and challenge students to become independent thinkers, lifelong learners, and socially responsible citizens." 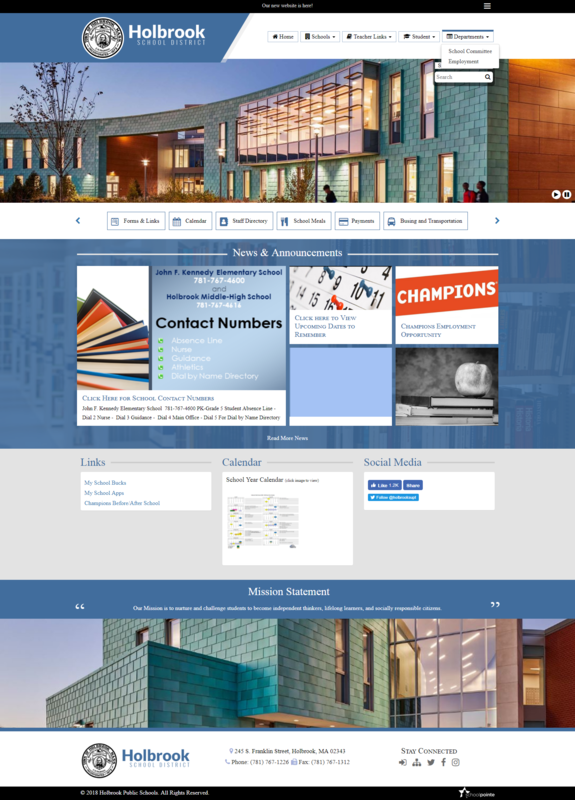 A top scrolling banner visually captures visitor's attention to any important information the district wants to promote. Button icons are displayed for easy access to a focal point menu of important selections. And their news and announcements really stand out with a broken down layout that sets this design apart from any other district websites.